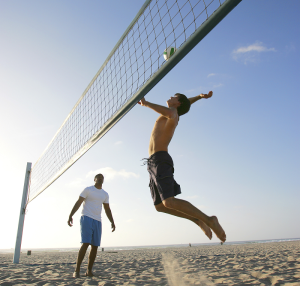 Countless people in Los Angeles suffer from shoulder injuries every year. These incidents can range from the damaging conditions of everyday work or from major single accidents that inflict untold damage on a victim’s body. In either case, the results can be severely debilitating and affect both personal and professional life in mere moments. While the human body is amazingly resilient and can bounce back from many injuries, some are too severe to be healed on their own. The shoulder is a complex system that can be damaged in a wide variety of ways. For many, shoulder surgery is the only means of healing completely and successfully. An injured shoulder will present a wide variety of symptoms, many of which interfere with daily life. These signs are meant to alert us to the fact we are suffering from an injury and prevent activity that can worsen the damage. While many symptoms are tied to minor injuries and lessen over time as the damage heals, there are other symptoms that we should pay closer attention to. If you are suffering from any of the following symptoms, it may mean that shoulder surgery is absolutely necessary. Paying attention to these signs can help you seek out treatment with Dr. Steven Meier before your injury worsens. If the pain in your shoulder radiates down and throughout your affected arm, it may mean that the injury is so severe that the muscles as a whole are being affected. Having a severely injured shoulder may mean you are unable to sleep on that side of your body. Continued nights with disturbed sleep may mean that your injury is not healing on its own. A serious shoulder injury will make the arm as a whole feel weaker, which can only heal after the damage is resolved through shoulder surgery. While shoulder injuries will hurt during physical exertion, the worst injuries will hurt all the time. This means that the injury is so severe it is not healing on its own. Lifting objects and reaching out your arm depend on healthy shoulders. Serious injuries impair these capabilities and lacking this physical capability means shoulder surgery is likely needed. Only an orthopedic surgeon can determine if shoulder surgery is needed and what exact procedures are right for your injury. The sooner you seek out skilled orthopedic help, the better your chances are of recovering to the full extent of your abilities and with as short of a recovery time as possible. To learn more about shoulder surgery treatment, visit WebMD.com. Dr. Steven W. Meier is a board-certified orthopedic surgeon in Los Angeles who has helped countless patients, both athletes, and non-athletes, understand and recover from their serious injuries. At Meier Orthopedic Sports and Regenerative Medicine, injured patients can find state of the art surgical solutions for their serious physical conditions. If you or a loved one is currently suffering from an injured shoulder and are looking for a solution to your problem, get in touch with the medical team at Meier Orthopedic Sports and Regenerative Medicine by calling (310) 777-7845 or filling out our online contact form.